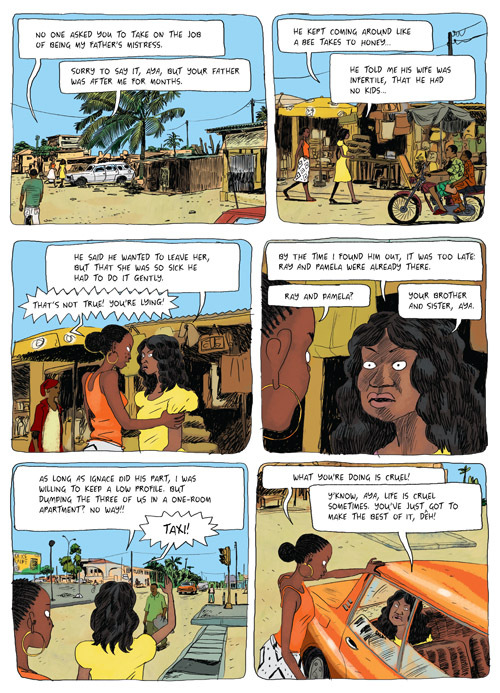 Aya is a really fun and engaging story set in late 1970s Ivory Coast. 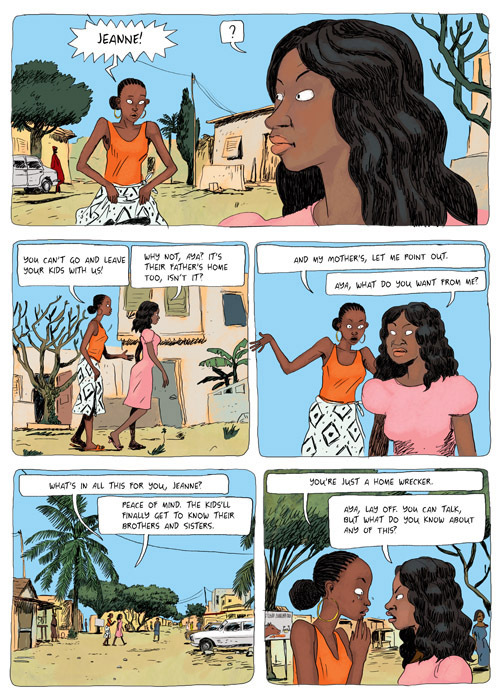 It's written by Marguerite Abouet (based in part on her own experiences growing up in the west African nation) and drawn with an elegant and whimsical flair by Clément Oubrerie. 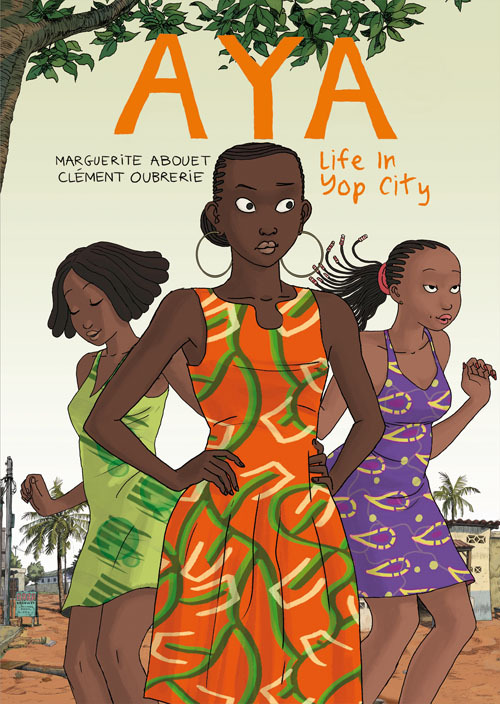 Aya: Life in Yop City is the book that collects these first 3 chapters (they have been previously published as individual hardcovers). 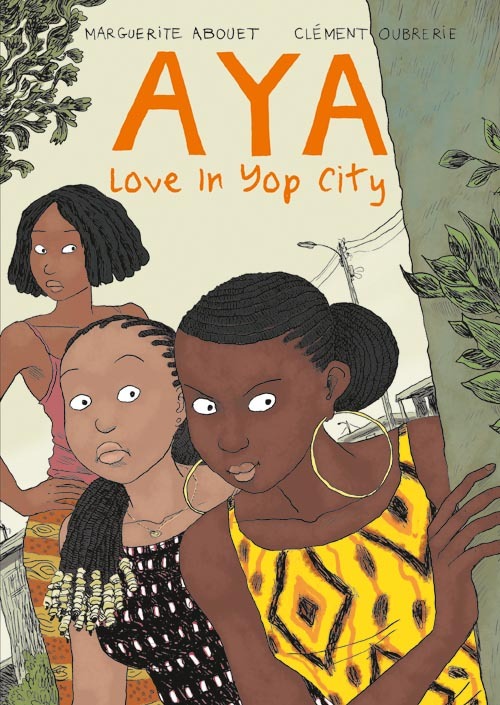 And in a few months the entire story will wrap up when Aya: Love in Yop City is in stores (this will be the first time that the latter part of the book is published in English). Tom Spurgeon recently wrote that he is a "fiend" for this material and that he could read 10,000 pages of this stuff. Well, this won't quite be 10,000 pages, but altogether both editions run to nearly 800 pages of comics, which is something, even in this era of big graphic novels. Submitted by dq_admin on Wednesday, September 19, 2012 - 1:44pm.